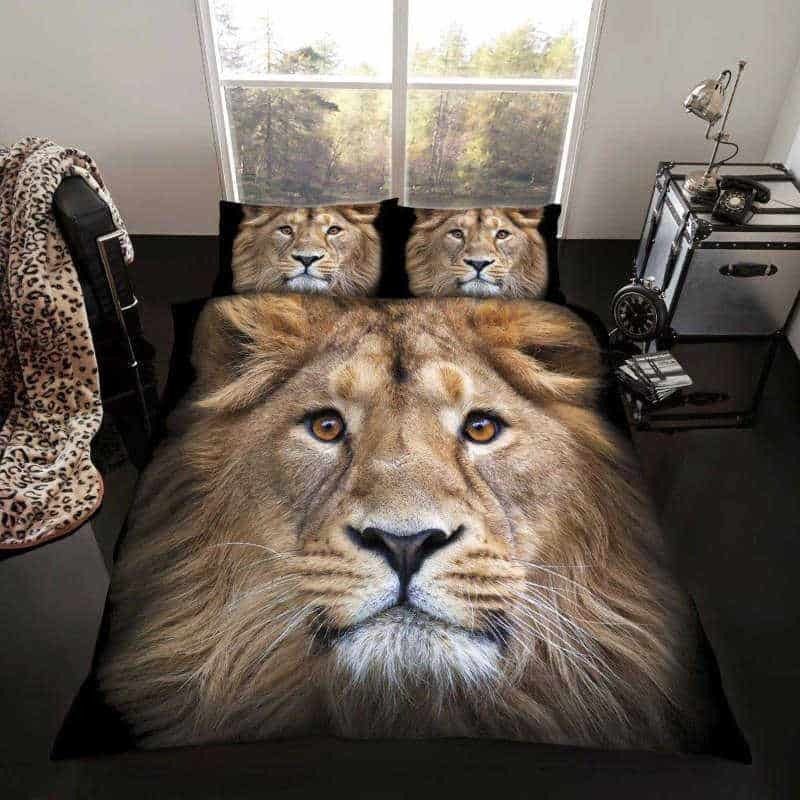 A beautiful lion themed king duvet cover from the Gaveno Cavailia ‘Wild @ Heart’ collection. 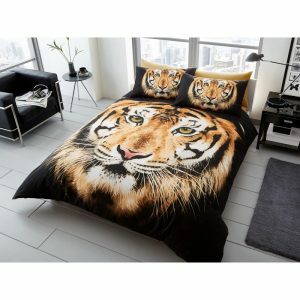 Featuring a detailed portrait of a lion, this king duvet cover would look great in the bedroom of a big cat lover. 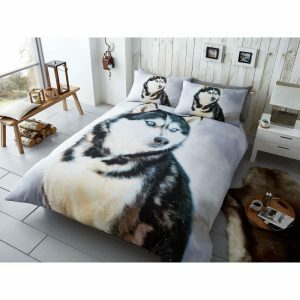 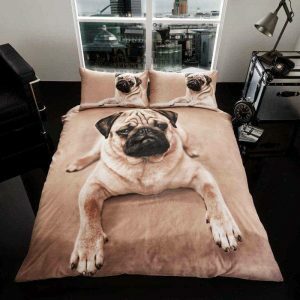 The design is also on the included pillow cases.